Zeenat Aman, Bollywood heartthrob of the ’70s and ’80s, to inaugurate the three-day DCSAFF. The sixth annual Washington DC South Asian Film Festival 2017 (DCSAFF) will be held at Montgomery College in Rockville, MD, just outside of the US capital, from September 8 to 10. Zeenat Aman, Bollywood heartthrob of the 1970s and ’80s, will kick off the festival at Montgomery College’s Robert E Parilla Performing Arts Center on the evening of September 8. The inaugural night will feature a red carpet event and a gala reception, followed by the screening of two films: Bankster, an action drama directed by Azaan Khan, featuring Faizan Khawaja and Naseeruddin Shah, and the short film Clash of Morality. 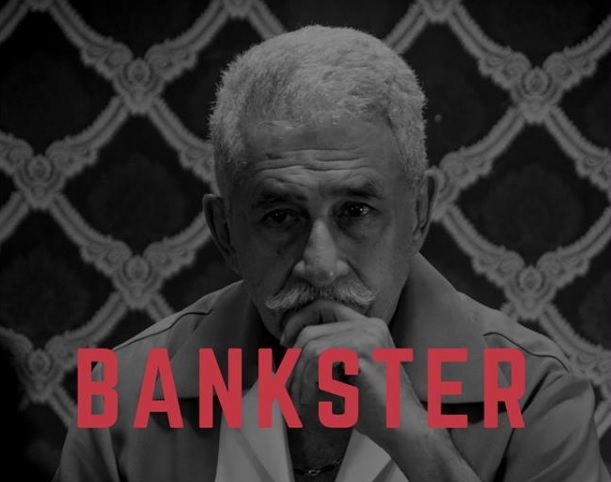 Bankster is the the maiden directorial venture of Azaan Khan, son of Aman and her late husband Mazhar Khan. It was released last spring. Clash of Morality, written and directed by Indian American filmmaker Vinay Pujara, is the story of two individuals, Mohamed and Richard, who are stuck in an elevator. The former confronts the latter for judging him on his religion and looks. DCSAFF Executive Director Manoj Singh told the American Bazaar that a diverse selection of 34 independent, award winning features, short films and documentaries from India and Pakistan, in a number of languages, including Hindi, Urdu and regional South Asian languages, will be screened at the festival. All films will have English subtitles, he said. The films to be screened include Bankster, Hotel Salvation, Lipstick under the Burkha, A Death in the Gunj, La La Begum, Saavan, The Valley, Palyadawasi, Dr. Rakhmabai, Black Prince and Mantra. There will be Q&A sessions with directors and actors after the screenings. Besides Aman, who starred in such memorable movies as Qurbani, Satyam Shivam Sundaram and Don, a number of other noted actors, directors and writers from India and Pakistan will attend the festival. They include actress Tannishtha Chatterjee, who was nominated for the British Independent Film Awards for her performance in Brick Lane; director, writer and actor Ananth Mahadevan (Rough Book and Dr. Rakhmabai); director, writer and actor Kavi Raz (Black Prince and television drama Lehren); Pakistani director Mehreen Jabbar (Dobara Phir Se, La La Begum and Ramchand Pakistani); Indian film, television and theater actor Adil Hussain; director Azaan Khan (Bankster); Pakistani American actor Faizan Khawaja; and actor Akash Dhar (Bankster). Hussain, who has worked in films such as The Reluctant Fundamentalist and Life of Pi, will screen three of his films: Hotel Salvation, The Violin Player and Mantra. This is the second year in a row DCSAFF is partnering with Montgomery College. Among other highlights of the three-day festival are a workshop on photography, hosted by Prof. Leena Jayaswal of American University Film School, a film editing work shop, hosted by Professor Joanne Carl of Montgomery College Film School, and a panel discussion after the screening of the Deepa Mehta documentary Anatomy of Violence. The panelists are prominent immigration attorney Sheela Murthy; Rohini Anand, vice president of human resources at Sodexo; sociologist Dr. Bess Vincent; criminologist Dr. Vicky Dorworth; Dr. Darrin G. Campen, Dean of Education and Social Sciences at Montgomery College. The closing night awards gala ceremony, on September 11, will feature stand-up comic Badar Tareen and a concert by the group Sur Dhanuk Dhun. Launched in 2012, by Caesar Productions, DCSAFF has brought a number of top prominent filmmakers, actors and top notch films from South Asia. The festival alumni include directors Shyam Benegal, Ketan Mehta, Prakash Jha, Aparna Sen, National Award Winning Director Suman Ghosh, Deepa Mehta and Director Sarmad Khoosat, and actors Manisha Koirala, the late Farooq Sheikh, Manoj Bajpayee, Nandita Das and Seema Biswas.